We’ve talked many times about how important and beautiful the sculpted lands of the Driftless Area are. The forested hillsides and steep bluffs that characterize the Driftless Area stand in sharp contrast to the typically flat lands of America’s Midwest, which were flattened by retreating glaciers in the last ice age. These untouched lands have been a lasting source of inspiration to the many artists that call this region home, including painters, potters, woodworkers, weavers, metalsmiths, musicians, and more. While it’s possible to experience their art in various regional studios, galleries, and stores, these artists come together once a year to celebrate their art at the popular Driftless Area Art Festival in our hometown of Soldiers Grove. To experience this artistic world at its best, book your room at our Wisconsin Vacation Rental today. There is something magical about the slower pace of life found in the Driftless Area. Our unique region of Southwest Wisconsin, where the landscapes were left untouched by ice-age glaciers that otherwise flattened the Midwest, is undeniably beautiful. From the forested hillsides teeming with wildlife to the steep limestone bluffs that plunge down to the cold-water streams along the valley floors, it’s easy to see why this area is so popular with tourists. Whether you crave adventure in the outdoors, are looking to relax and rejuvenate away from the busy stress of modern life, or want to explore the quaint and historic region in another way, there is something for you to enjoy in the Driftless Area. 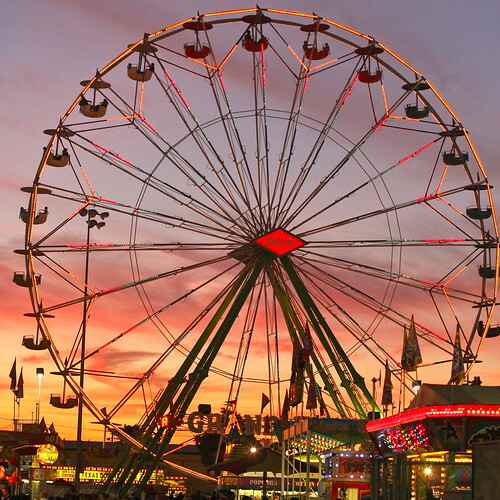 For a special throwback to simpler days gone by, join us this summer for one of our two exciting county fairs; the Crawford County Fair in August, and the Vernon County Fair in September. There is no better way to discover this magical region than to book your stay at our Wisconsin Vacation Rental today.